One hundred years ago, on 21 December 1913, Arthur Wynne published the first crossword (you can try solving it here!). 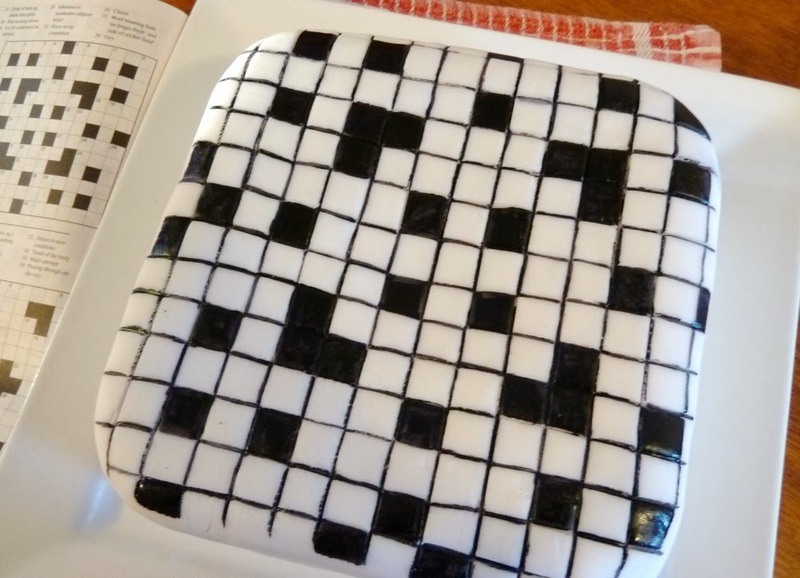 He called it 'Wordcross' ... But a few weeks later, a typesetter made a mistake and wrote Crossword ... And we've called them that ever since! This puzzle has grown in that time to be one of the most popular puzzles around, worldwide. To celebrate this special occasion, Google and famous American setter Merle Reagle got together and created this interactive crossword. And from me, here is a new cryptic clue competition for you all to enter! 1) Write an anagram clue for the word CENTENNIAL. Your clue has to contain a definition for CENTENNIAL, an anagram indictor, and the anagram fodder (an exact anagram of CENTENNIAL). See below for more information. 2) Submit your clue as a comment on this post. Please sign your clue with your first name or alias (especially important for those of you posting Anonymously!). 3) Submissions are limited to one clue per person. 4) Entries close on Friday 3rd January 2014, at 12 pm (local Canberra time, +11 GMT). 5) The judges' decision is final. 1st, 2nd, and 3rd winners will win their choice of one of my apps ... There are limited countries I can gift these from (Apple has region restrictions on App store gifting), so I can send prizes to people in Australia, USA, and the UK. If you live outside these areas, you are of course welcome to enter, but I can't award prizes (apart from the everlasting fame and glory, naturally), sorry. 1) A definition for CENTENNIAL — this can be as simple, as oblique, or as silly as you like. The definition needs to be at the start or end of the clue (not stuck in the middle). 2) An anagram (fodder) — this needs to be an exact anagram of the word CENTENNIAL — for example, 'ace lent inn' or 'nil canteen'. There are a fair few of possibilities, and it can run over 2 or 3 or even 4 words. You can use up to one abbreviation for one or two letters (so 'north' or 'noon' could = N, for example). This is called the anagram fodder. 3) An anagram indicator — this is a word that tells the reader to mix up the letters of the fodder. This can be a word like doctored, edited, nervous, or weaving. There are thousands of possibilities! Look for a word (or two or three) that matches well, and makes sense, with your fodder. NB: The anagram indicator isn't allowed to do 'double duty' - so you must not use your definition for centennial as the anagram indicator. Your clue needs to read well, like a mini phrase or sentence (not just a random assortment of words stuck together). It can be funny, surreal, or serious, whatever you like. Creativity and clue accuracy are what I will be looking for. So, the definition can't be stuck in the middle of the wordplay. The definition has to sit at the start or end of the clue, and not be interrupted by the wordplay. You can use this anagram engine or this one to help find some good ways of breaking up the word "Centennial". Celebrate one hundred years by shaking 50 Roman canteen. Alas, I live in the Philippines, and that's the best I can do. Celebrate one hundred years by shaking 50 Romans in canteen. Can lenient editor allow these? CNN late in e-broadcast,spoil 100th year anniversary. Isn't CENTENNIAL an adjective? Many of these entries clue it as a noun. I don't think so unless you live in the US. Have you got a reference? relating to a hundredth anniversary. centennial celebrations. a hundredth anniversary. the show is a celebration of the museum's centennial. ORIGIN late 18th cent. : from Latin centum ‘a hundred’, on the pattern of biennial.